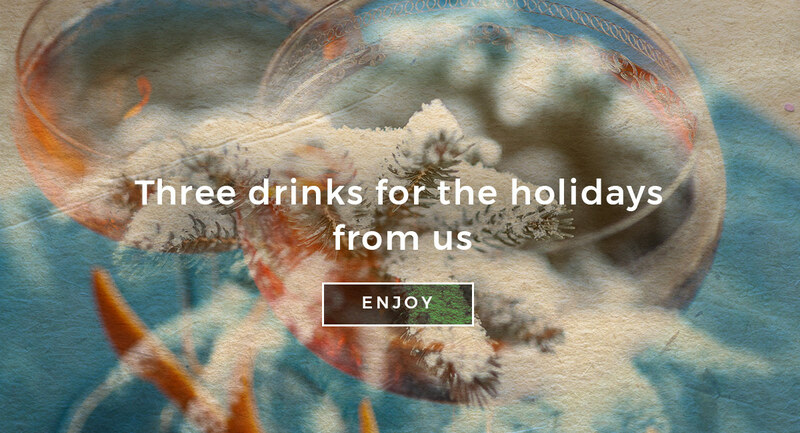 Here at DrinksFusion we’d like to make it possible for everyone to enjoy Christmas in impeccable style, with a range of festive cocktails to brighten up the cold winter months. If you’re in need of creative new ideas for your own Christmas party, or if you just want some inspiration for the perfect fireside tipple, take a look below. 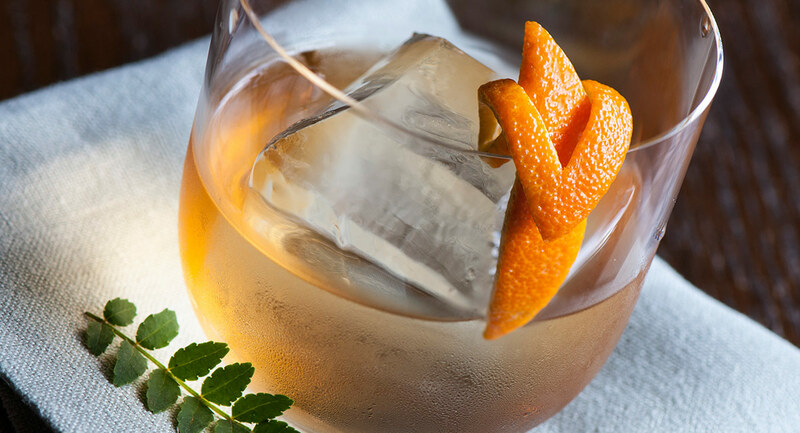 As winter calls for big, warm and full bodied flavours we suggesting trying some twists on classics using spirits such as Scandinavian Akvavit, Whisky, Armagnac, Port Wine, Amaro, and Vermouth. So here are three tipples one can easily try out at home with friends and family. A twist on the classic but using 40ml of Norrlands Gammla Swedish Akvavit and 25ml Spirit of Hven Organic Winter Spirit. These fine ingredients are then stirred to perfect dilution over ice, and sweetened with a 5-10ml of fig reduction. You can then add some orange zest and some aromatic bitters for structure. Here’s a festive take on the Harvard cocktail, made by stirring 40ml Chateau de Labaud Bas Armagnac VSOP, 30ml 10yr old Tawny Port wine and 10ml of Amaro Ulrich from Marolo, stir it all over ice, serve straight up and add a small 25ml splash of tonic water or ginger ale. 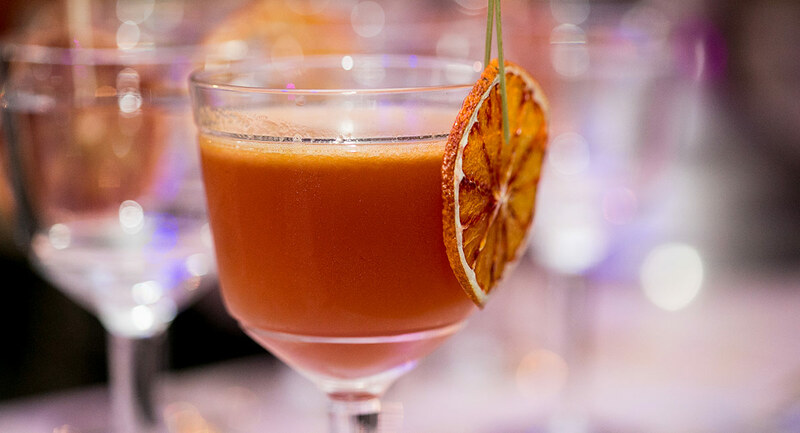 Another seasonal twist on a classic Blood & Sand recipe, this time using 35ml Compass Box Spice Tree Whisky as a base, shaken with 15ml sweet Olorosso aged Sherry, 20ml Contratto Rosso Vermouth and blend of about 40-50ml of freshly pressed clementine and blood orange juice. You can then add ¼ of a freshly pressed lime to help create a balance between the flavours if needed. We love experimenting with new and exciting ideas to make our drinks look all the more fabulous. 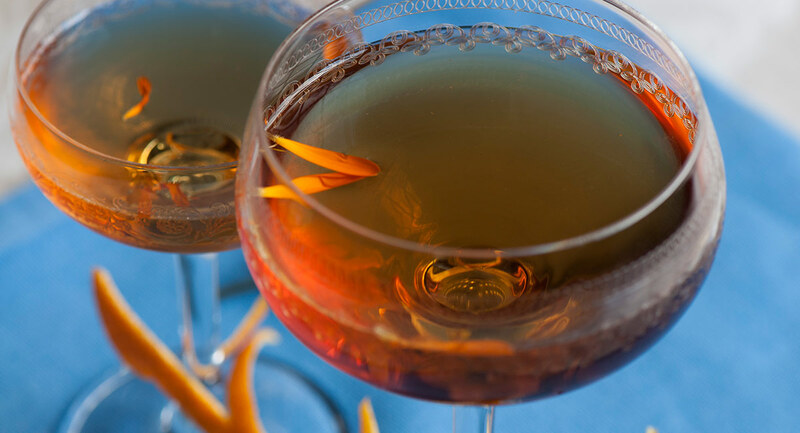 Perfect to add a glamorous, festive element to your winter cocktails, why not try making your own metallic garnishes. 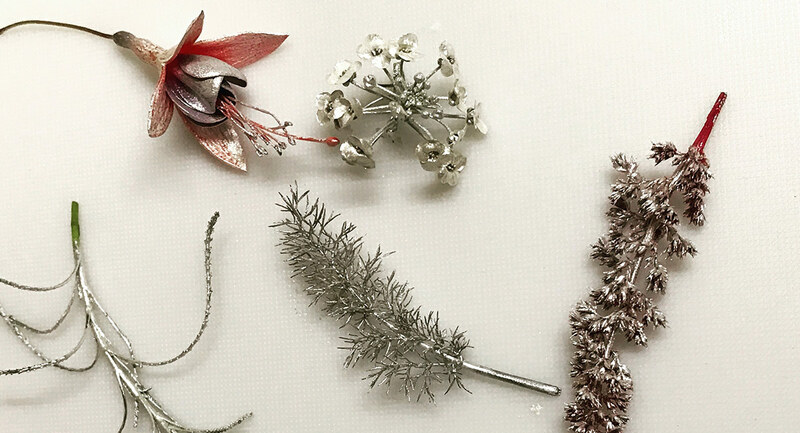 Both natural and elegant, simply cover anything from fuchsia heads to sprigs of mint with edible silver or copper spray to create these gorgeous winter themed cocktail decorations. 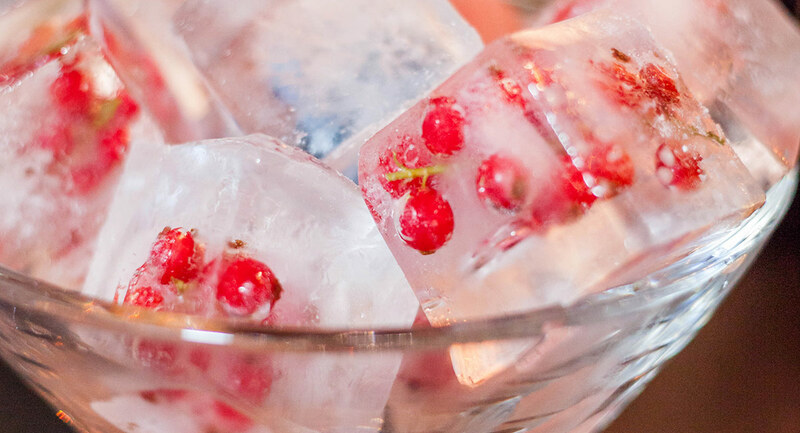 If you want to really impress your guests whilst setting yourself an interesting creative project, try putting your own festive twist on our winter themed ice cubes. Perfect for any season, these bespoke handmade ice-cubes will be sure to impress guests, combining beauty with practicality. 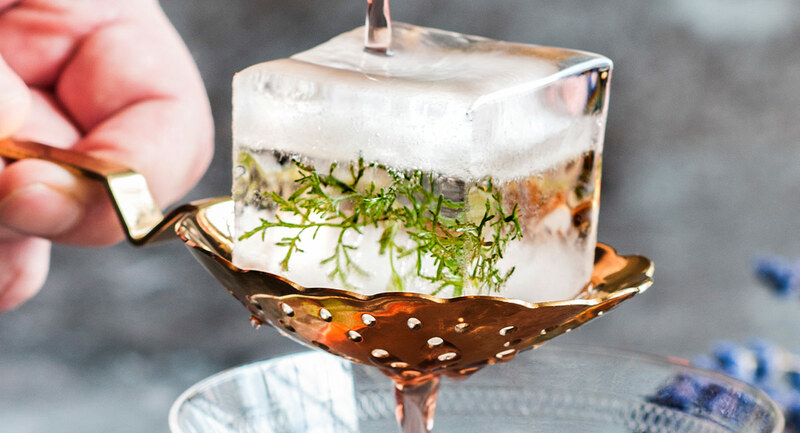 Try freezing festive foliage like wormwood, red currants or burgundy amaranth inside the cubes to give your drink a touch of class. Once you’re familiar with the process, these fabulous home-made cubes can be adapted to suit any theme or season.